Chicken lovers rejoice! Chicken Charlie is here! 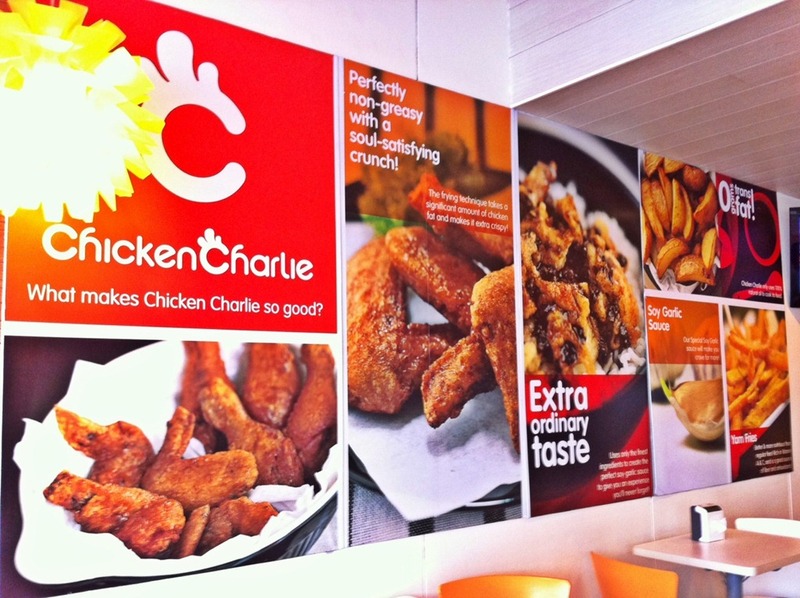 What makes Chicken Charlie so good? If you are in the vicinity of Wilson St. – J. Abad Santos Drive in San Juan City, it would be a disservice to your tummy not to visit this place! 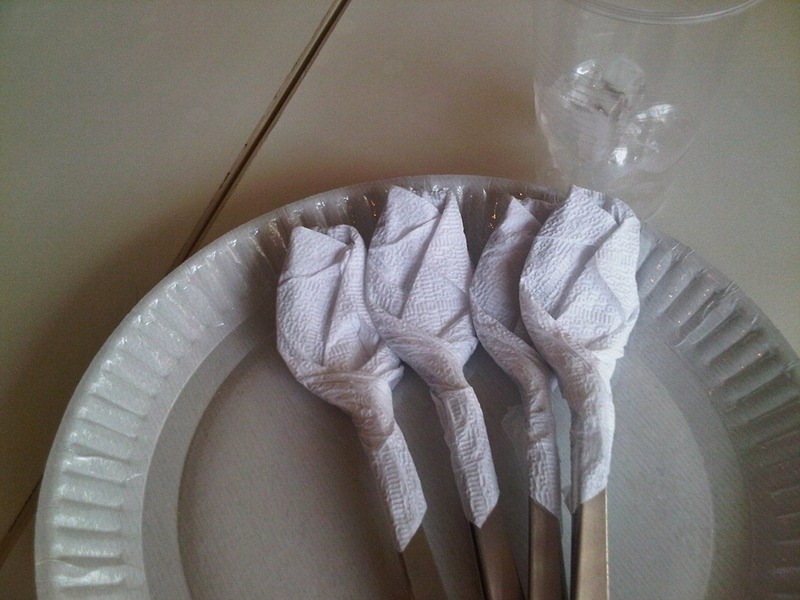 We ordered Combo 4 with (4) Drumsticks & (4) Wings for Php288.00 – According to them, this is their “fried” and joy. 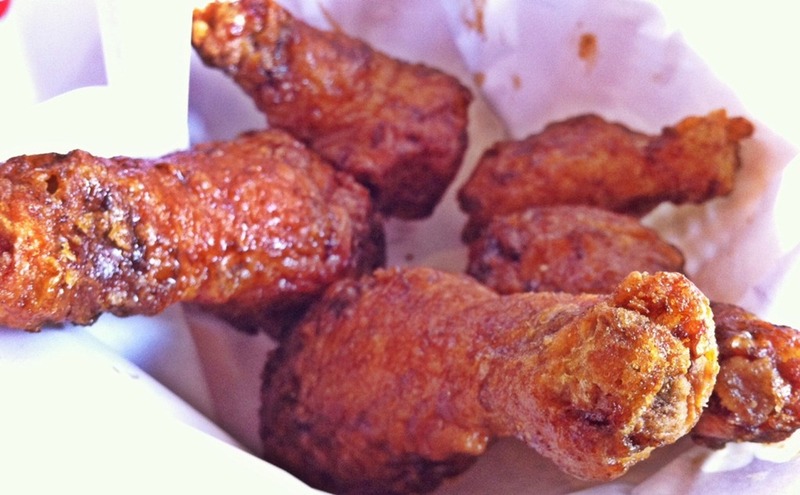 Their chicken goes through a double-frying process to make each piece crispy. Their chicken is non-greasy, flavorful and juicy, crunchy on the outside and tender on the inside. 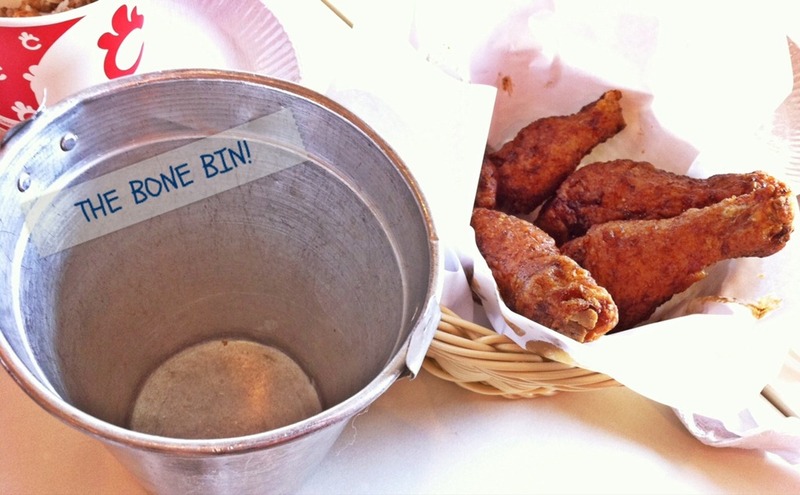 Because of it’s yumminess, we had to order an additional combo of (2) Drumsticks and (4) Wings (Php197.00)! They will also give you a tin can for the bones (See above pic)! Neat! 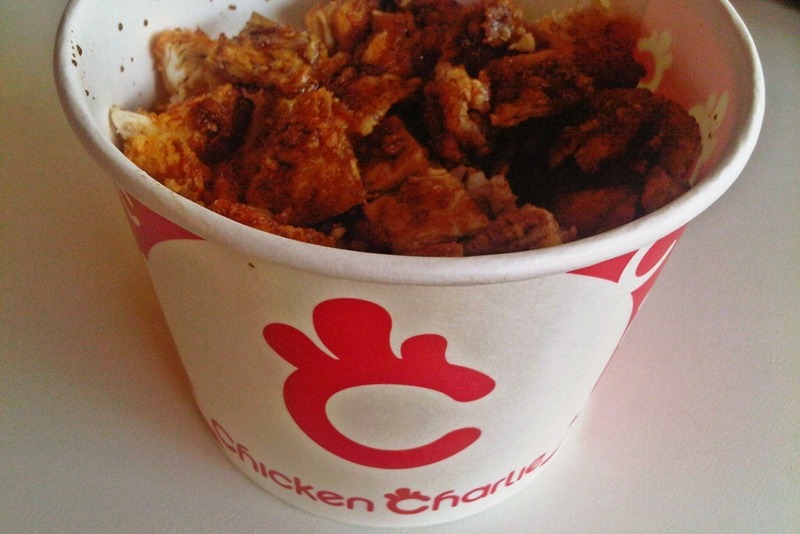 Charlie’s Bowl – Chicken strips brushed with Chicken Charlie’s signature soy-garlic sauce on top of steamed rice. Sells for only Php59.00. My son had 2 of these! 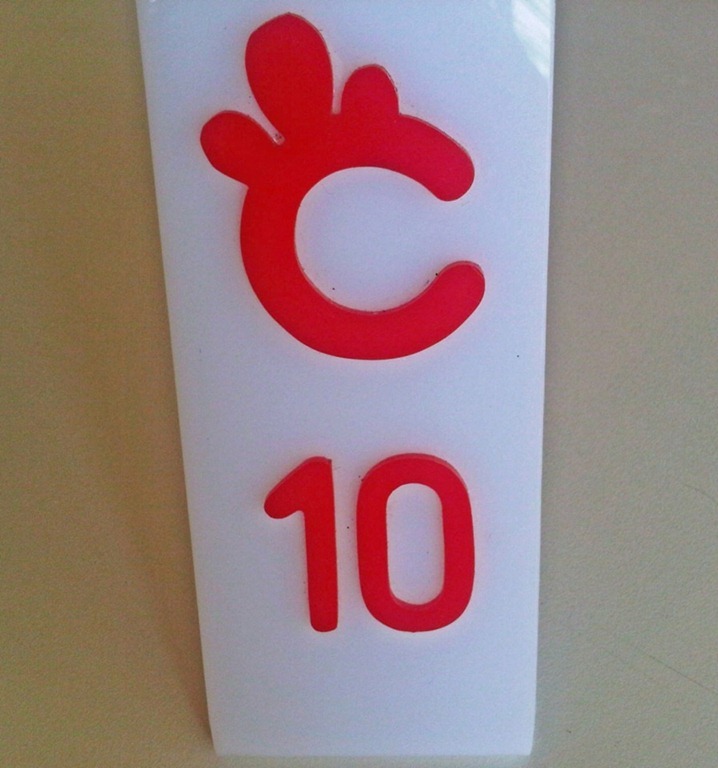 Notice the number that has the Chicken Charlie logo? Cute! Since everything is freshly cooked upon order, we had to wait for 20 minutes. But it was well worth the wait. You can also call-in to order your chicken in advance and have it picked-up 20 minutes after. It truly isn’t like any other chicken you’ve ever had! Same here! When I am too lazy to cook, we drive to their San Juan branch and order our favorite combo.